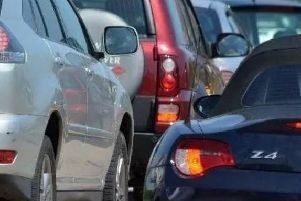 A four vehicle crash is again causing long delays on the A1 between Peterborough and Stamford this afternoon, Friday August 11. The crash has taken place on the northbound carriageway just south of the A43 junction near Burghley House and queues are already back to the A47 at Wansford. The collision happened at 2.11pm and there are reports of a car colliding with the central reservation. A lane is now clear and traffic is passing the scene freely. It follows a two lorry crash yesterday which caused delays of over an hour for motorists.